Short sleeves with tipped ribbed cuffs. 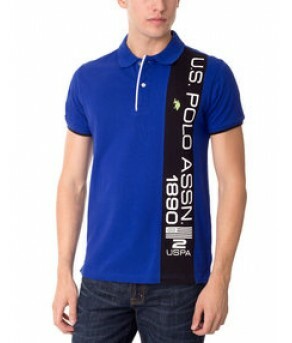 Vertical stripe down left side, with printed "U.S. Polo Assn. Since 1890". Small rubber patch on right sleeve.